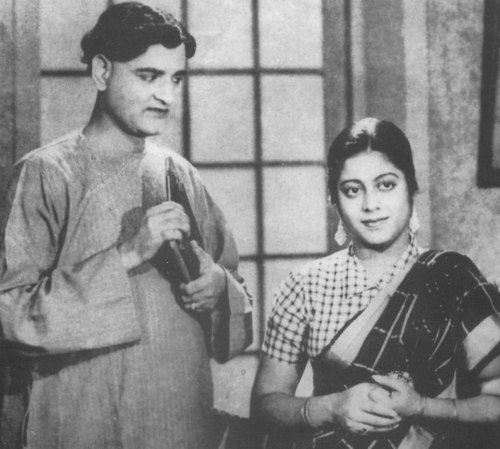 Kanan Devi and KL Saigal in Parichay. Collared blouses, scalloped necks and boxy silhouettes were common in sari blouses in the 1940s. This entry was posted in 1940s, Indian Cinema, Sari Blouse, Singer, Vintage Blouse and tagged 1940s, Bengal, collared blouse, Kanan Devi, Parichay, saigal, saree, sari, vintage. Bookmark the permalink.